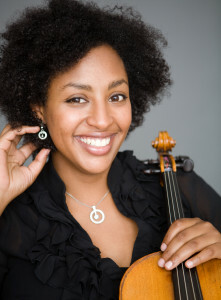 A recipient of the Sierra Arts Fund Grant, Deanna Said is a violist performing and teaching throughout the bay area. She completed her undergraduate degree at the San Francisco Conservatory, then recently completed graduate studies at University of Nevada-Reno as a member of the graduate quartet-in-residence, Nightingale String Quartet. At UNR, she was graduate assistant to Stephanie Sant’Ambrogio and received the award of ‘Most Outstanding Graduate Musician’. Deanna has performed as soloist with the Ruby Mountain Symphony, UNR Symphony (as winner of UNR’s concerto competition) and was a featured soloist at the Lake Tahoe Toccatta Summer Chamber Concert Series. She has also received full-scholarship to attend the prestigious Aspen Music festival. While in Reno, she was principal violist of the Susanville Symphony and the UNR Symphony. She was a member of the Reno Philharmonic, Nevada Opera and Ballet Orchestra. Happy to call the bay area home again, Deanna now plays extensively throughout California. She freelances with many groups including the Berkeley Symphony, Monterey Symphony and Sacramento Philharmonic among many others. She also maintains a thriving studio of both violin and viola students.